The Old World Creamery story began over a century ago in 1912, when Edwin and Pauline Knaus set out to create Wisconsin’s Finest dairy products. From day one, they carefully crafted a variety of quality cheese, butter, and dairy products from the finest ingredients available. 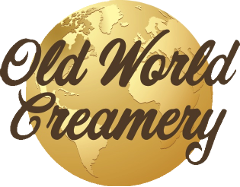 Old World Creamery is a part of a fourth generation family-owned company. Although each generation has been involved in different aspects of cheese and butter making, and much has changed over the years, each of us has honored Edwin and Pauline’s philosophy. We still make Wisconsin’s Finest cheese and butter with the same ingredients of quality and family pride. 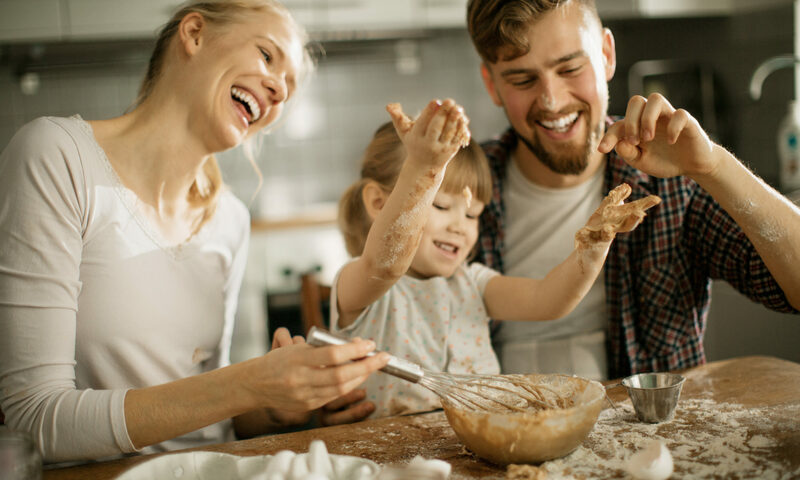 Today, our family manages all aspects of the business from milk-to-market, from our family to yours. We start with milk from local, family-owned dairy farms and manufacture our cheese products in state-of-the-art facilities in Wisconsin. 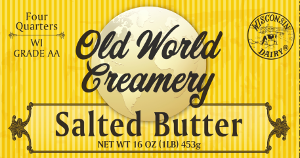 Old World Creamery sources and distributes Wisconsin’s Finest butter throughout our great nation. Irish butter is a European-style butter; having a higher butterfat content than the average American butter. This translates into a richer, creamier, texture for the butter. In the past, Wisconsin residents had to go to great lengths to find Irish Butter. Old Word Creamery is proud to bring this prized product back to the Wisconsin market. Our Old World Creamery Irish Butter is graded to Wisconsin’s high standards by five in-house state licensed inspectors, packaged in Sheboygan, Wisconsin, and sold throughout the state of Wisconsin. 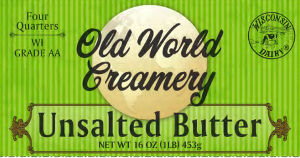 Enjoy the rich and creamy flavor of our Old World Creamery Salted Irish Butter. 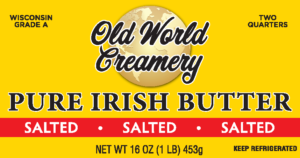 Our Old World Creamery Salted Irish Butter is imported from Ireland, graded by licensed Wisconsin inspectors, packaged in Sheboygan, Wisconsin, and then delivered fresh to your local grocery store. Salted Butter is great for topping toast and bagels, and keeps slightly longer than unsalted butter. Enjoy the rich and creamy flavor of our Old World Creamery Unsalted Irish Butter. 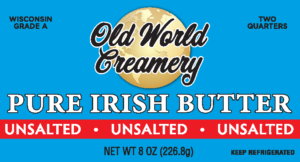 Our Old World Creamery Unsalted Irish Butter is imported from Ireland, graded by licensed Wisconsin inspectors, packaged in Sheboygan, Wisconsin, and then delivered fresh to your local grocery store. Unsalted Butter makes a great topping, and gives cooks precision control over their recipes.